Your boiler’s job is to keep you, your family and your home warm. While it always needs to be in good working condition, it’s most essential during the run-up to Christmas. It’s important to recognise when your boiler may need attention, before it has chance to break down in the chilly weather. There could be a number of reasons for this, if you’ve already tried bleeding your radiators, but they still have cold spots, your boiler could need attention. Take a look at our how to bleed a radiator article. If you’re still not feeling the benefit of your radiators, you could have a problematic boiler on your hands. Leakages from and nearby your boiler are a tell-tale sign it might be about to break down. Even if the leak itself isn’t visible, keep an eye out for signs of leakage from the pipes. Check out our article on diagnosing a leaky boiler to make sure your boiler and pipes are leak-free. 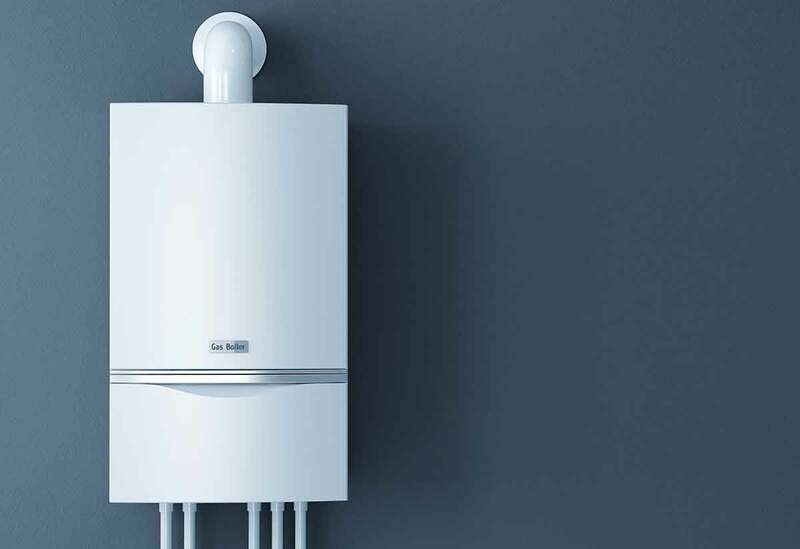 Sooty black marks on your boiler may indicate the beginning of a serious combustion problem which can be highly dangerous if left untreated, and most certainly indicate that your boiler is heading for breakdown. If you detect any such marks, contact a Gas Safety registered engineer as soon as possible. If you can see the pilot light in your boiler, ensure that it’s burning strong and blue. If the flame appears elongated or a different colour – such as yellow or orange – contact an engineer immediately. It might seem obvious, but ticking, whistling, clanking and humming are all noises a healthy boiler shouldn’t be making. If you’ve noticed these sounds emitting from your boiler or pipes, it could indicate any number of problems which you’ll need to fix to avoid breakdown. Sludge and scale build-up, high water pressure in the heating system and even a lack of water are but some of the problems that could cause strange noises. Simply put, if your boiler is making funny noises, make sure it’s looked at. Cold water makes everyday things like showers, baths and washing the dishes rather miserable, and it’s likely something you can’t ignore. But why is the water always cold? It may well mean there’s a problem with your boiler, failing to perform its main job. If you’re finding your water to be continually cold, contact HomeServe to help avoid a boiler breakdown, and cold showers for all your Christmas visitors! Thermostats are usually found in the hallway of your property and control the central heating in your house. If the controls aren’t working, it could be for a number of reasons – perhaps it’s old and has lost accuracy in reading time and temperature. Or it may indicate a problem with the boiler itself. Call HomeServe to ensure that’s not the problem – if it’s not, a HomeServe engineer can install a new thermostat.